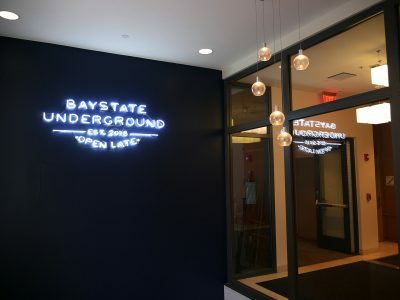 With bright signs directing students down the stairwells, Bay State Underground has taken over the space that used to belong to Late Night Kitchen and Rize at 100 Bay State Road with a fresh new look in one combined area. The new dining spot will be open from 7 p.m. to midnight Sunday through Wednesday and 7 p.m. to 2 a.m. Thursday through Saturday. The revamp to Late Night Kitchen and Rize, Boston University Dining Services Marketing Director Scott Rosario wrote in an email, was influenced by feedback from students. The space also features locally-grown living greens and an open kitchen. But don’t fret, frequent visitors of Late Night Kitchen — Bay State Underground’s new menus will still include some old favorites along with its newer fare, Bay State Underground Manager John Bonaccorso said. “It’s an eclectic menu to try and make sure we have something available for everyone,” Bonaccorso said. The kitchen menu will offer students comfort foods with a modern twist, Rosario wrote, such as quesadillas and burgers as well as new dishes such as cauliflower nachos, Thai red curry bowls, spicy tuna nachos, gnocchi “poutine” and sesame seared tuna bowls. The deli menu will feature “shareable boards with fresh made spreads, pickles and more options that are perfect for snacking with groups of friends,” Rosario wrote. New sandwiches and flatbreads — found nowhere else on campus — will also be offered. A longtime “die-hard” fan of Late Night Kitchen and frequent visitor to Rize, Julia Hess, a junior in the College of Communication, said that she is excited to see the new space and how they have decided to combine the two previously distinct dining options into one. “Now I have to go eat everything else on the new menu, so there’s that to look forward to,” Hess said. 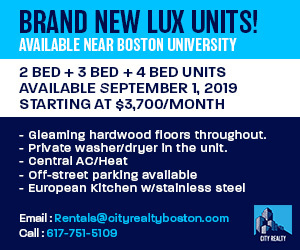 In partnership with Joyride Coffee Distributors, Bay State Underground will also give students the chance to try the Starbucks Nitro Cold Brew on tap, Scarlet Tea, green tea and Health-Ade Kombucha. 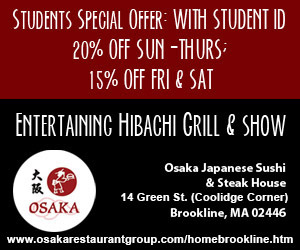 In order to get a 10 percent “BU Family” discount off food and drinks, student clubs and groups have to pre-register with the manager. Most employees who previously worked at Rize and Late Night Kitchen will continue working at Bay State Underground, Rosario wrote. Bay State Underground’s grand opening will be on Saturday and will include free food and prizes. CLARIFICATION: Bay State Underground will open on Tuesday and the grand opening celebration will take place on Saturday.